What's expected of our members? Siren Test is held on the first Monday of each month at approximately 6:30pm. It is a good time to come up and learn from some of our regular firefighters by familiarizing you with radio operating procedures as well as our vehicles, tools, and equipment and receive some additional work and/or training hours. A Company Line Officer is assigned to each station every month. EMS Training is a requirement of EMS only members. However, all members are encouraged to attend. EMS only members are people who join the Fire Company for the sole purpose of answering First Aid Calls. These members do not want to be involved in the Firefighting aspect of the Fire Service. This Training is a good place to keep up on current standards of EMS and are required for your bi-annual CME’s (Continuing Medical Education) for EMT’S. For those non-EMS personnel, it is helpful to know in general what is going on so that you can assist on EMS calls if you choose to drive or ride. Fire Company Drills are held at 9:00am & 7:00pm at Station #1 or at an otherwise listed location. You are required to attend at least six (6). They are usually about an hour in duration and cover important specific topics of the Fire Company. Fire Company Meetings are held at 7:00pm at Station #1, in the meeting/training room. You are required to attend at least four (4) meetings per year. The more meetings you attend the more informed you will be as a member. This is where all important information is presented and Fire Company business is handled. Fire Company Trainings are held at 9:00am & 7:00pm and usually last about 2-3 hours. You are required to make at least six (6) of these trainings per year. Obviously, the more trainings you make the better trained and the more valuable a member you become. Currently, our training staff consists of a few Buffalo Firefighters who are also members of our Fire Company. Times and places of training are announced at meetings and the Home Receiver/Pager. 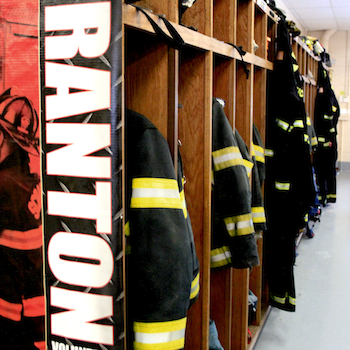 Board Meetings are held at 7:00pm in the meeting/training room at Station # 1. These meetings are not required but are a good place to obtain information about the business end of the Fire Company. At these meetings many recommendations made by the Board of Directors are presented at the regular company meetings. Work Hours: Active members of the company are also required to obtain a minimum of 36 work hours during the course of the year. Examples of these work hours include general cleaning, janitorial, and maintenance duties of the fire stations and equipment; committee meetings and functions, annual hose test, and fire prevention details. Members, click here to join our Facebook group.